Nissan ex-boss Carlos Ghosn has accused former executives at the firm of “backstabbing” and says he is innocent of all charges against him. In a pre-recorded video released by his legal team, he said he was victim of a “conspiracy” and wanted a fair trial. Nissan said in response that there was “substantial evidence” against him. Mr Ghosn was arrested for a fourth time last week while on bail awaiting trial on charges of financial misconduct and breach of trust. “Aside from any criminal matters, Nissan’s internal investigation has uncovered substantial evidence of blatantly unethical conduct,” the company said. 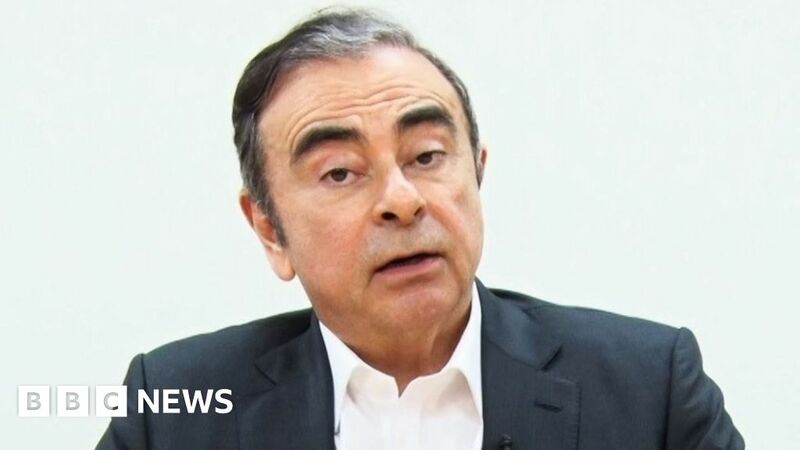 “This is about a plot, this is about conspiracy, this is about backstabbing – that’s what we are talking about,” Mr Ghosn said in the video, released at a news conference.